The Minnesota Twins minor league season has been done for about a month. At Twins Daily, we have handed out a lot of awards since then. 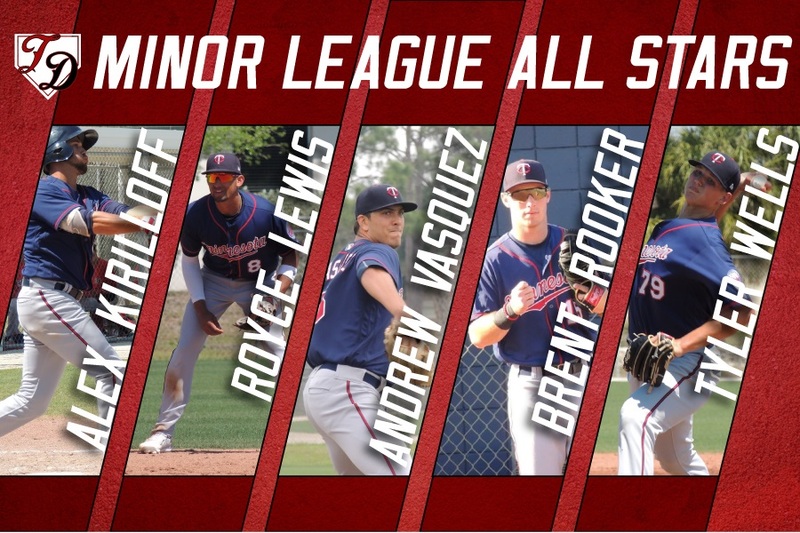 We conclude that series today by presenting the Twins Daily 2018 Twins Minor League All-Star team. Scroll down to find out who made the 13-man team. The Twins Daily minor league writers voted for each of 13 positions. There was some variance in terms of positions that certain guys were placed at, as you’ll see below. Today, we would like to announce our choices for 2018 Minnesota Twins All-Stars. Our Twins Daily minor league report writers were asked to vote for a catcher, first baseman, second baseman, third baseman, shortstop, three outfielders, a DH, a left-handed starting pitcher, a right-handed starting pitcher, a left-handed reliever and a right-handed reliever. The player at each position who received the most votes takes the spots. Before the season, I included Taylor Grzelakowski (“Gelly”) as one of my Spring Standouts. He signed late last season as a non-drafted free agent out of Madonna University. After playing just 12 games in the Gulf Coast League last year, it was surprising to see that he made the jump all the way up to the Ft. Myers Miracle. His is a great story, but he has also worked very hard to turn himself into a very good player. Not only did he make that jump, but he played well and hit in the middle of the Miracle lineup. He hit for average, got on base a lot, and showed good power, particularly for the Florida State League. He played some in the outfield and a little at first base, along with catching and DHing. Wiel has really been a consistent performer since signing out of the baseball hot-bed that is Vanderbilt. In his first full season, he led the Midwest League in RBI. He was a middle-of-the-lineup bat for the Miracle in 2017. 2018 was another strong season for Wiel. He hit .311 with an .827 OPS for the Chattanooga Lookouts before ending the season with the Rochester Red Wings. While he took some lumps in that short AAA experience, he also had some highlights including a walkoff home run. Wiel split his time in 2018 between first base and left field. He also spent a lot of time hitting in the leadoff spot for the Lookouts. 2018 Stats: .310/.361/.397 (.758) with 20 doubles, 3 home runs and 36 RBI. 2017 was a tough season for Arraez. 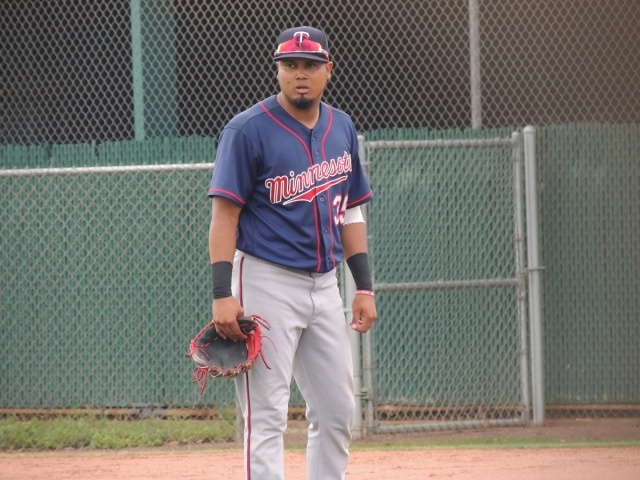 After winning the Midwest League batting title at .337 as a 19-year-old in Cedar Rapids in 2016, Arraez hoped for a big start with the Miracle in 2017. In this third game, he tore up his knee and needed surgery which cost him the full season. He returned a couple of weeks into the 2018 season with the Miracle. While he started out slow (1-24, .042), Arraez returned to form quickly. In his next 54 games, he hit .353/.403/.466 (.868). He was the choice for Twins Daily Hitter of the Month in June when he hit .449 with 13 extra base hits. He was promoted to the Lookouts in early July. He hit .298 for the Lookouts, as a 21-year-old. Arraez will need to be added to the 40-man roster in November or risk being lost in the Rule 5 draft. 2018 Stats: .264/.319/.417 (.736) with 27 doubles, 16 home runs and 82 RBI. 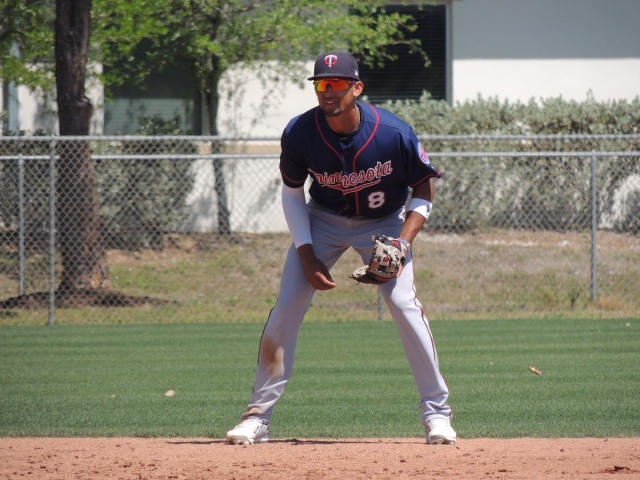 Miranda was a shortstop in high school, but when the Twins drafted him, they knew his future was not at that position. He has spent time through his career at second base and third base. His 2018 season went along with the weather in Cedar Rapids. He started out cold, but he continued to heat up as the temperatures rose. He began the season by playing primarily at second base, but he spent most of the second half at third base. Most believe that he will grow and add a lot of power. In 2018, he showed that with both the doubles and the home run power. He ended his first year of full-season play with a promotion to the Ft. Myers Miracle, helping them to the Florida State League Championship. He’s a big part of The Twins Big 4 from the 2016 Draft. The Twins used the top overall pick in the 2017 draft out of JSerra Catholic High School. He homered in his first professional at-bat in the GCL, and he finished the season helping the Cedar Rapids Kernels to a playoff berth. Lewis also impressed in his first full season of pro ball. 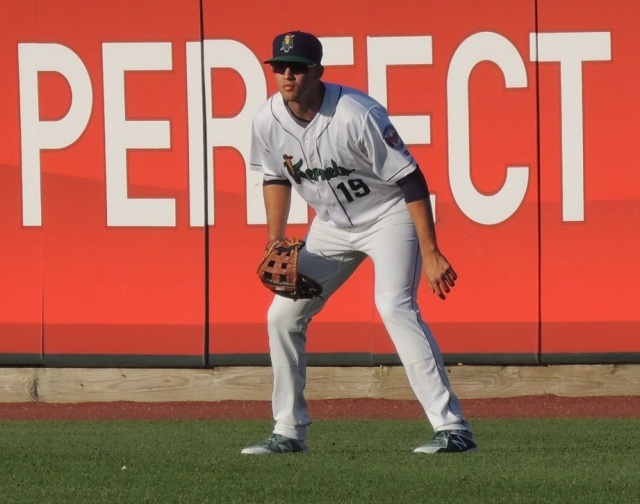 He returned to Iowa to start the season and earned a spot on the Midwest League All-Star Game. A couple of weeks later, he was promoted to the Miracle where he helped lead the Miracle to the playoffs on the final day and all the way to a championship. Lewis showed off the range of tools that made him the top pick and has pushed him into the Top 10 on most national prospect lists. He has shown a strong hitting acumen. While we (fans) thought he could have been pushed to Ft. Myers sooner, his extra month with the Kernels let him show serious increased power which carried over to his time with the Miracle. He came into the season with question marks at shortstop from some, but those concerns quieted some over the course of the year as he showed terrific range and a strong arm. He’s got really good speed. He led the organization in stolen bases. It will be fun to watch him develop and see how quickly he can work his way up the ladder. In addition to immense talent, Lewis has the leadership and charisma to be a difference-maker, a building block on the way to a championship-caliber team. 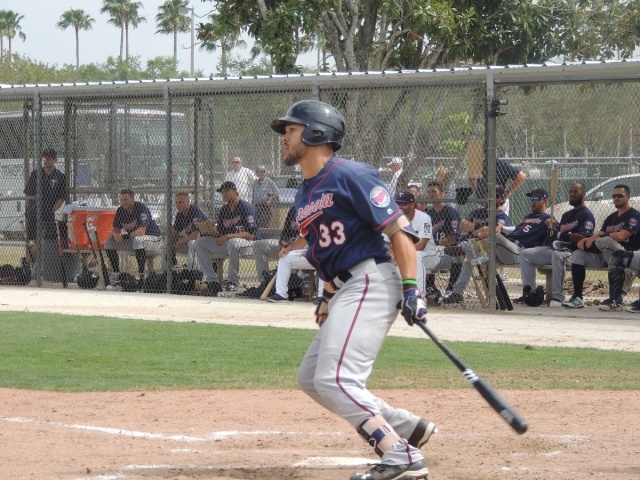 Kirilloff was the Twins top draft pick in the 2016 draft, selected with the 15th overall pick. The Twins were on him early and were as impressed with his maturity as they were with his immense power potential. He had a successful pro debut, hitting over .300 in Elizabethton. Unfortunately, his season ended with an elbow injury, and in March 2017, he had Tommy John surgery which cost him that season. So while people believe in Kirilloff’s bat, no one could have imagined how well Kirilloff would play in his return in 2018. He went 1-for-12 in his first three games, and then he hit the rest of the year. He hit .333/.391/.607 (.999) in 65 games in Cedar Rapids. He played in the Midwest League All-Star Game. He finished the season with 65 games in Ft. Myers and hit .362/.393/.550 (.943). He went 2-for-2 in the Futures Game. He had a long streak of games with multiple hits. His 44 doubles led all of minor league baseball. He had home run power and drove in over 100 runs. He was a big part of the Miracle FSL championship. Like Lewis, Kirilloff will be near the top of most national prospect rankings this offseason. 2018 Stats: .273/.347/.412 (.759) with 24 doubles, 11 home runs, 53 RBI. When the Twins drafted Jaylin Davis out of Appalachian State, they knew he had immense power. However, at the time, he was hurt and missed the rest of the 2015 season. He began play in Elizabethton in 2016, but when he hit seven home runs in 12 games, he was moved up to Cedar Rapids. He has been productive and provided a lot of power. Davis showed improvement in 2018 in a couple of key areas in his development. He increased his walk rate and decreased his strikeout rate. While the FSL depressed his power a little, he had a really strong season. It will continue on Tuesday as the Arizona Fall League begins and he’ll be playing for Tommy Watkins and the Salt River Rafters. 2018 Stats: .243/.351/.419 (.770) with 22 doubles, 11 triples, 11 home runs and 40 RBI. If you only look at his batting average, you may think that Baddoo had a disappointing season. While it will be nice to see Baddoo increase his batting average, it is important to look at all of his numbers and see how well he fills the stat sheet. Another member of the 2016 Big Four, Baddoo was the third of four picks that year. He was the Twins Daily 2017 Short-Season Hitter of the Year. He spent his first full season hitting at the top of the Cedar Rapids Kernels lineup and playing a lot of centerfield. He reached double-figures in doubles (22), triples (11), home runs (11) and stolen bases (24). Baddoo has all the tools. Many believe he will hit and he is very strong and should continue to develop power. He’s got great speed on the bases and his defense really improved. If he has one tool lacking, it might be his arm. His approach at the plate is terrific. He knows the strike zone and gets his pitches. He takes a lot of walks, but he is aggressive in the zone. 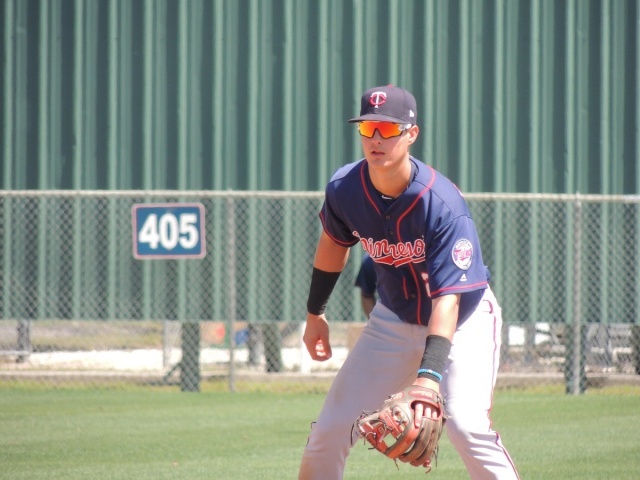 After selecting Brent Rooker late in the 2016 draft,the Twins took him in 2017 with a compensation pick right after the first round. He bet on himself and came through with a Triple Crown in the SEC. 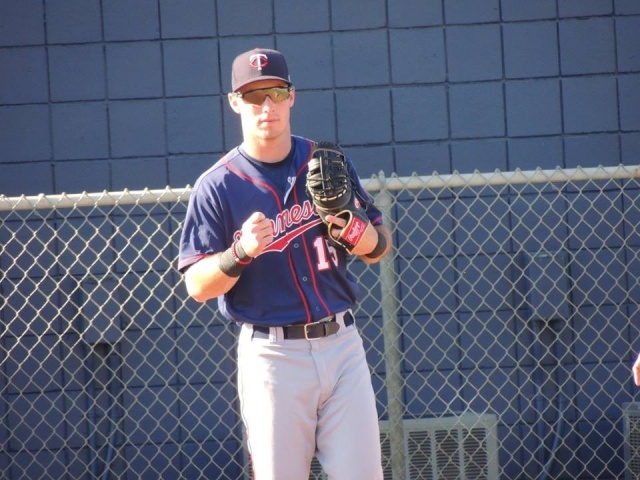 With four years of college, Rooker is considered an advanced hitter, and the Twins have aggressively promoted him. After a brief time in Elizabethton, the Twins pushed him to Ft. Meyers where he continued to show incredible power. 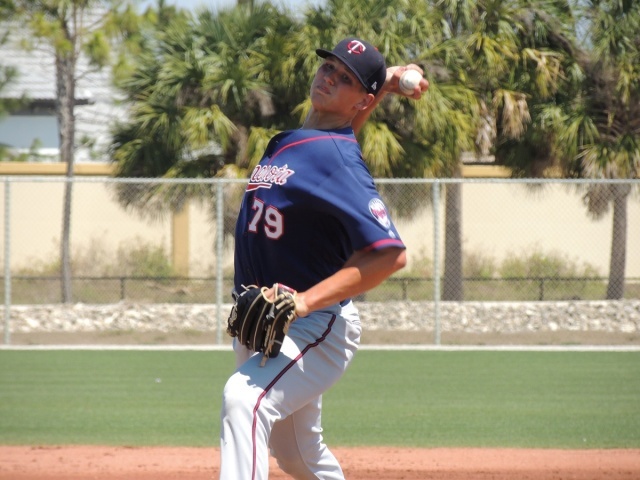 The aggressiveness continued when the Twins sent Rooker to Double-A Chattanooga for the 2018 season. He struggled the first couple of months, but in both June and July he posted OPS over 1.000. He will have the opportunity to continue to grow offensively while playing more outfield defense in the Arizona Fall League. In spring training, he spent some time with Justin Morneau at first base as well. While the strikeouts will continue to be something he needs to work on, his power potential is legit. 2018 was a fantastic season for the 24-year-old Tyler Wells. He began the season in Ft. Myers where he pitched well and earned his spot on the Florida State League All Star team. He went 8-4 with a 2.80 ERA and a 0.89 WHIP in 18 starts for the Miracle. He moved up to Chattanooga where he made six appearances for the Lookouts to end the season. He posted a 1.65 ERA over 32 2/3 innings. He struck out more than a batter per inning while throwing a lot of strikes. 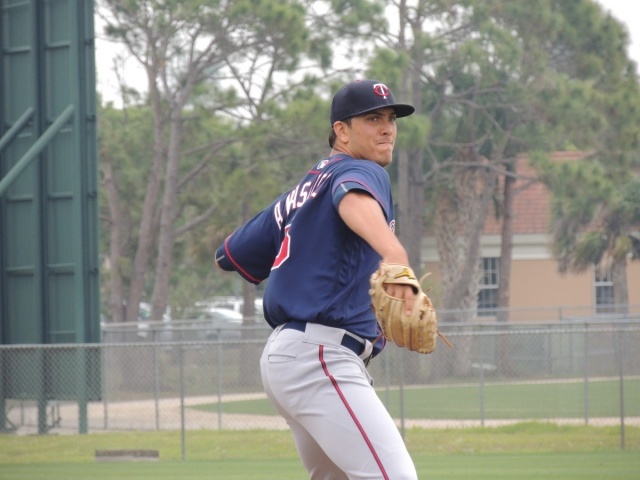 He was the 2018 Twins Daily Minor League Starting Pitcher of the Year for his efforts. In addition, he did a ton of work in the community and was the 2018 Harmon Killebrew Awards for Community Service recipient for the Ft. Myers Miracle. On the final weekend of the season, Stephen Gonsalves called his 2018 season “probably one of the worst seasons of his career. Well, other than getting called up here.” He called his big league call up “A dream come true.” I mean, consider that he was the Twins Daily Starting Pitcher of the Year in both 2016 and 2017, and he was the runner up to Jose Berrios for the award in 2015. He has set the bar high throughout his minor league career. And based on finding himself as the Twins Daily choice for top left-handed starting pitcher, it’s clear that it was still a very strong season for the southpaw from San Diego. If you look at his numbers across the board, he had another strong season. 12-3 with a 2.76 ERA. That’s very good. He struck out a batter per inning. However, as he noted, “The walks were a mystery to me.” At times, he just couldn’t find command. And yet, he pitched well and finally earned his first big league promotion in August and Paul Molitor kept having him pitch through some early struggles. 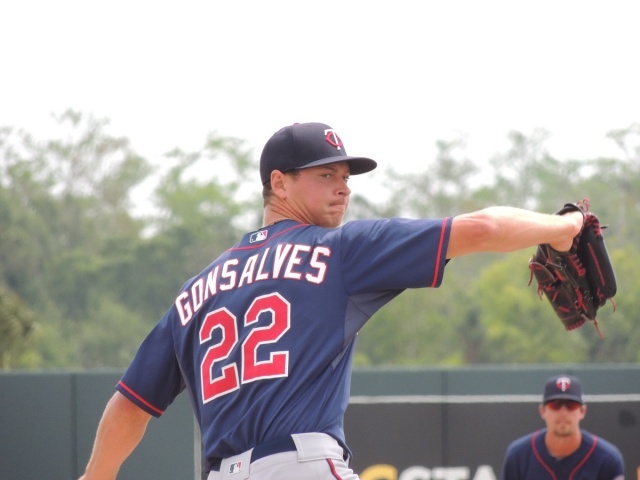 After Berrios won two straight Starting Pitcher of the Year Awards, Gonsalves followed with two. Berrios really struggled mightily in his first big league opportunity, but he has turned things around. Hopefully Gonsalves can do the same thing in his major-league career, starting as early as 2019. Stashak is probably the least-known member of the 2018 Twins Daily All-Star team, but he put together a strong 2018 season in Chattanooga, beating out several of the bigger-named relievers in Rochester for this honor. Stashak was drafted out of college as a starting pitcher, and he did a nice job for the Miracle in 2017. He ended 2017 with six good innings out of the Lookouts bullpen. He pitched very well out of the Lookouts bullpen throughout the 2018 season as well. He was able to pitch in multiple roles. He could work one inning, or he could use his starting background to reach a few innings. That may be the role for him as he moves up. 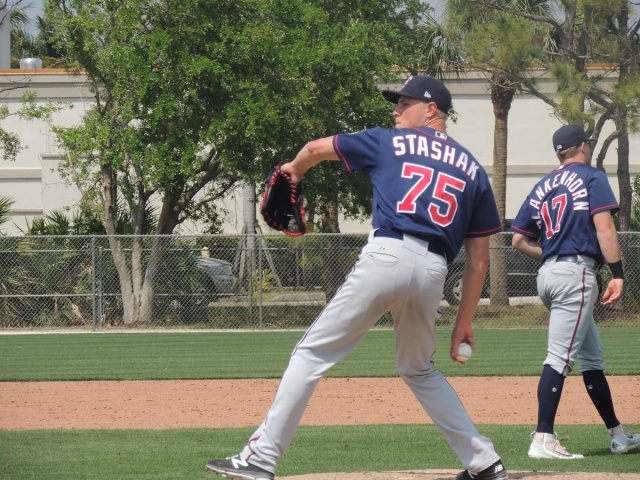 Not a big guy, Stashak surprisingly worked in the low-90s as a starter, and he was able to add a couple of ticks out of the bullpen. 2018 was a whirlwind season for Andrew Vasquez. He began the season in Ft. Myers and spent the first half of the season there. In fact, he pitched in the Florida State League All Star game. After the game, he was promoted to Chattanooga where he continued to thrive for about a month. 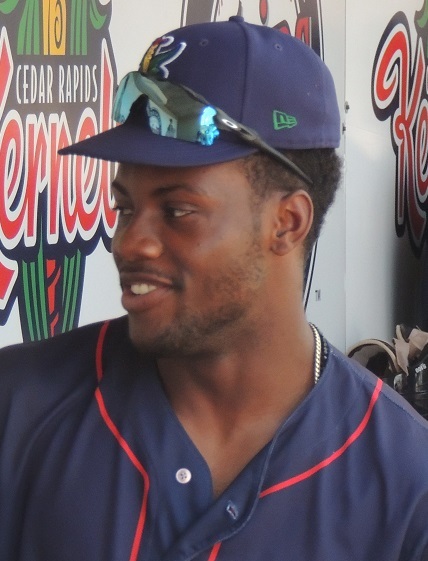 He was promoted to Rochester in late August and about a week later, he was called up to the Twins on September 1st. While he had some rough moments in the season’s final month, he ended the season by striking out the side in his inning of work on the season’s final game. Andrew Vasquez tops out at 90, maybe 91 at times, but his best pitch is a tremendous slider the he is able to get a lot of swings and misses with. With Taylor Rogers and Gabriel Moya in the big leagues, Vasquez could split time in 2019 between AAA and the big leagues. Did I mention the 14 strikeouts per nine innings? 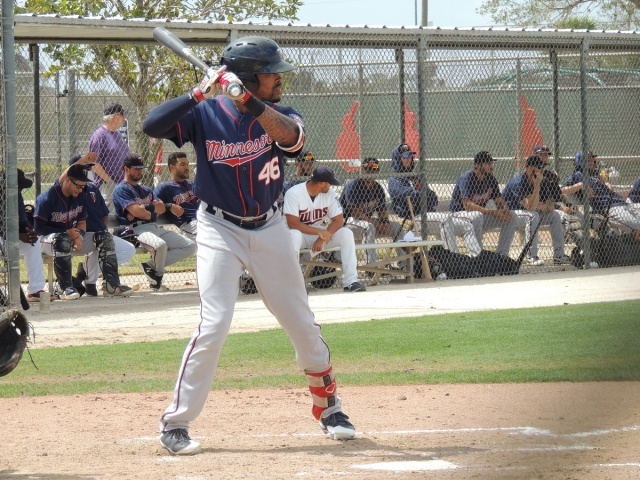 C: Mitch Garver, 1B: Jonathan Rodriguez, 2B: Travis Blankenhorn, 3B: TJ White, SS: Jermaine Palacios, OF:LaMonte Wade, Zack Granite, Akil Baddoo, DH: Brent Rooker. RH SP: Clark Beeker, LH SP: Stephen Gonsalves, RH RP: John Curtiss, LH RP: Andrew Vasquez. My first thought when seeing this was to remember all those years when I was doing it.So I know how much effort goes into it, thanks guys. Although I would probably have two spots different than your consensus, have no reason to disagree with your team.And when looking at this group, really do believe that the Twins have a lot of talent on the way.Hopefully, they will keep getting better and get here asap! Wells 2020? He had the best numbers in the entire organization. Assuming he keeps that up how on earth is he not a 2019 arrival? In hindsight I probably should have swung Grzelakowski into my OF, replacing Wade, and plugged Astudillo in at catcher. Tip of the cap to Steve on that savvy move. List is about what I'd have. Rortvedt was an above league-average hitter as a 20-year-old at Ft. Myers while playing, by all reports, solid defense at.....catcher. (71 starts).Congratulations, Ted! Would probably have Rortvedt at catcher.Gellie had a great season, but wasn't a lot of it at 1B and DH?Don't have the exact split of games played/where, going mostly from memory of looking at box scores. It's tough, but honestly, it's nice to know that there is that much depth that at least have some reason for optimism. There's a really nice collection of players in this all-star lineup. Ben Rortvedt probably would have been my pick at C, as he had a solid hitting season despite advancing up to high A and reportedly his defensive skills are developing well. he looks like a guy who will stick at the position as long as he can hit enough and right now, that's looking more and more likely. He had a nice season and as jkcarew notes: he wasn't just a part-timer there. Can't wait to see what Kirilloff does at AA next year (you have to start him there, right? I mean, he KILLED A-ball). I suspect Lewis starts back at Ft. Myers and moves up sometime during the year. Does Baddoo get promoted to Ft. Myers to start the year? If he can hit there as a 20 year-old he'll be on a fast track, I think. I'll admit to being a little concerned about the low average and high Ks. Wells was terrific, but he's going to need to refine his command. he doesn't walk guys like Gonsalves, but I'd be happier seeing him lower that rate in the minors. He's not young for his level and should have a more advanced approach than his peers. It will be interesting to see who emerges as the better pitcher: Wells or Lewis Thorpe (who had a very solid season, including respectable performances at AAA). You do realize Wells is the second youngest guy on the AA pitching roster and 1.3 years below AA average age right? But yes his walk rate was a good bit higher than his 1.8/9ip in A+ and I’m sure that willl get better as he adjusts to the tighter zones. I'm really curious if the Twins plan on trading some of that depth this offseason. They honestly have too much AAA SPs right now and not enough slots to go around. Makes sense to trade some of them before they are out of options. I'm aware. He's likely to repeat at AA next year and will not be considered young for his level next season, which is my point. He was also older than Kohl Stewart, Lewis Thorpe, and Zack Littell (who started at AA last year). A lot of the guys on the AA pitching staff who are older don't have the brightest of futures with this or any other franchise. I'm rooting for Wells. His ability to keep the ball in the park is a real skill and he's shown it his whole career. but people are talking him up like he on a fast track to the MLB club, and I don't know that I'm seeing it. If the BBs stay in the 3.5/9 range at AA next season, it won't bode well for his future, IMHO. I'm in favor of this. However, I don't expect there to be much or significant return. We could get good return for the guys we think are good, but those are the ones we should keep. The iffy guys, well, other teams have plenty of those too. A return along the lines of what we gave up to get Jake Cave will be good work by our FO if they can do it, for guys like Slegers. If not, we're better off extracting whatever value the Slegers's of our system can offer us. This is a great question. I agree that the Minors have some strengths and some weaknesses. But another question is: trade for what? Even if somehow one could package 3 AAAA pitchers for an ace, what would that buy? Maybe 2 years of control? In 2017 the Twins won 85 games and made the playoffs. This year, 85 wins would have put you 12 games out of the wild card, and even if the Twins were as talented as the Indians, they would have been swept. In short, even under the most optimistic scenarios, the Twins are a long ways away, and a single pitcher (ace) even with a WAR of 5 wouldn't make much of a difference. And mea culpa for being depressed. The Twins are only a long ways away if Buxton and Sano are similar to 2018. If they are at their best, you have positive WAR coming back at every position but 1B and 2B, Threeabove average starters and possibly 5 with Pineda, Romero, Meija. So bringing in some bullpen arms and getting good players for 1B and 2B or 3B if Sano moves and they are in the hunt as early as next year. Now if Buxton and Sano tank again, it will be a long, long year. As I always note... Age to level of competition is pretty meaningless to me for college pitchers who aren't top half of the first round picks. They get up to the big leagues when they're ready.